Network operators are certainly facing new challenges in moving from traditional infrastructures to next generation offerings. This transformation requires a completely new business model and for some, this model is completely new and offers new challenges. With these challenges come unexpected costs or unclear areas where costs may arise that the network operator is not accustomed to in traditional settings. To ensure this doesn’t happen, the network operator needs to take a truly holistic approach to the implementation of a new business model so they can completely understand the new structure and its challenges and benefits. The good news is that the migration from a proven TDM environment to an all-IP network can offer a full range of opportunities in terms of a lower cost base and a much more rich applications environment. At the same time, there are technical and operational challenges, demanding that the network operator partner with proven players who can ensure a smooth transition. 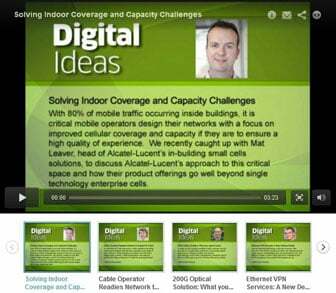 The key is to increase service capability without compromising service and business continuity.In making the move to what Alcatel-Lucent (News - Alert) refers to as a High Leverage Network (HLN), the organization must be able to identify and prioritize those areas where costs can be reduced. This may seem like a daunting task when moving to a new platform that will present new challenges. HLN is structured so as to prioritize and streamline operations so that costs are contained and high quality service deliver is achieved.New revenue streams are available in this next generation environment and network operators who take advantage of new opportunities will drive sustainable profitability over the long term. To capitalize on these opportunities, however, it is important to keep costs in check and view the system as a whole. A focus on streamlining and leveraging an HLN for maximum content delivery at the lowest cost possible will keep the network operator on the right path for success.